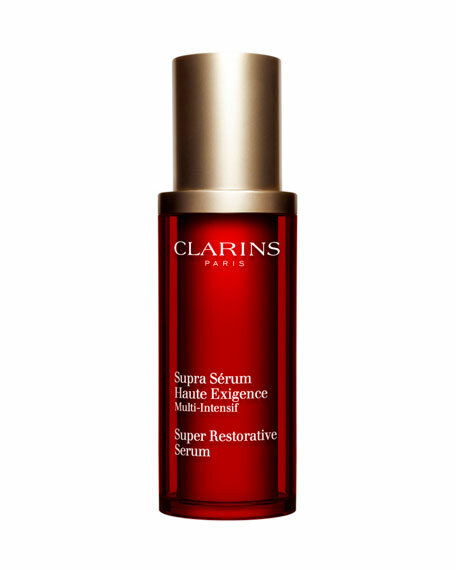 ClarinsSuper Restorative Remodelling Serum, 1.0 oz. 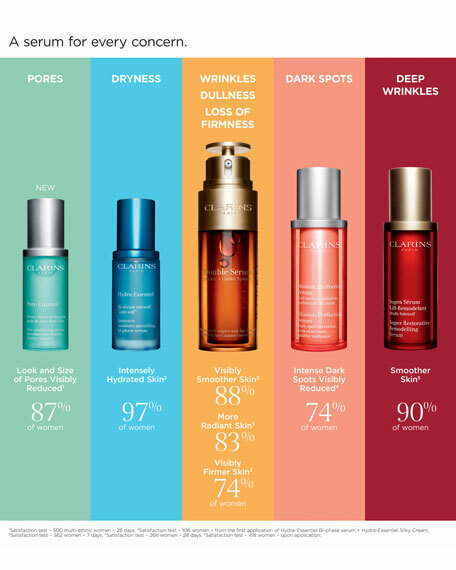 Clarins' unprecedented anti-aging formula targets facial volume, age spots, visibly lifts, and helps define facial contours, promoting a youthful-looking oval shape. • Visibly reduce age-related dark spots with the power of Organic Montpellier Rock-rose. • Promote defined facial contours with Narrow-Leaf Plantain extract. 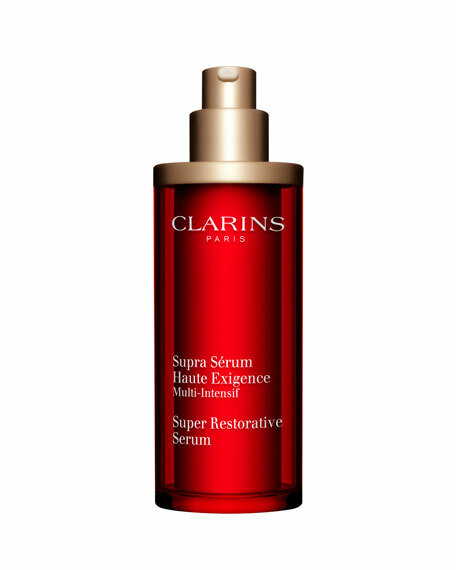 • Visibly reduces lines, deep wrinkles and slackening with replenishing Organic Harungana extract. *Satisfaction test - 418 women - upon application. 1. Warm the product between your palms. 2. Pat onto cheeks, forehead, neck and décolleté. 3. Press into skin with firm yet gentle pressure. Move outward from cheeks toward ears; then from center of forehead to the temples, and from jaw down to décolleté. Never pull or tug the skin. 4. 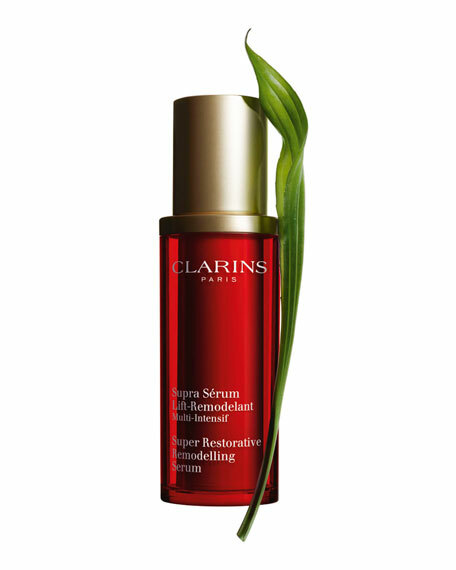 Apply the Clarins moisturizer for your skin type. 5. 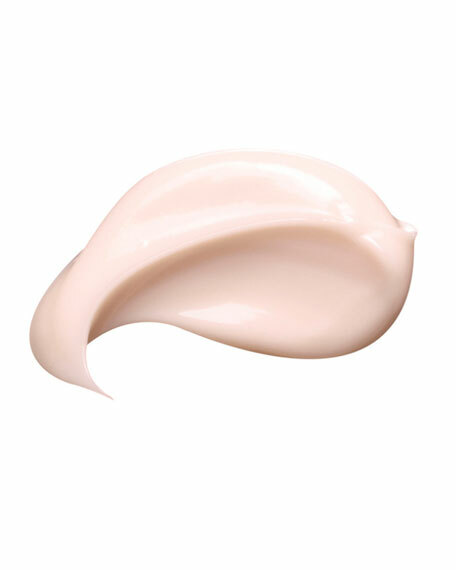 During the day, follow with UV PLUS Anti-Pollution Sunscreen Multi-Protection Broad Spectrum SPF 50.